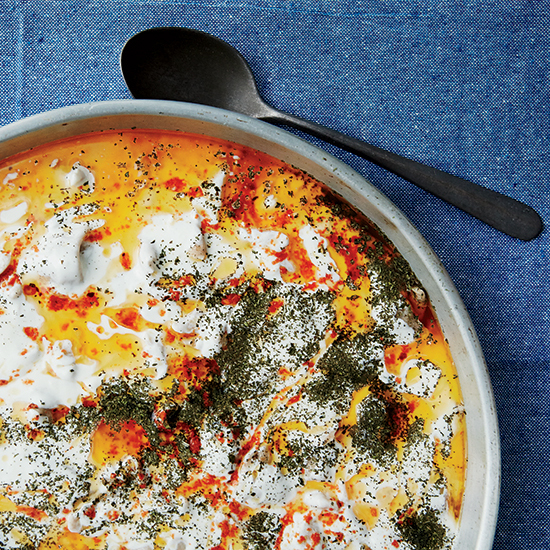 Here, chef Scott Conant's most popular Turkish recipes, from side dishes and salads to grilled fish and dumplings. 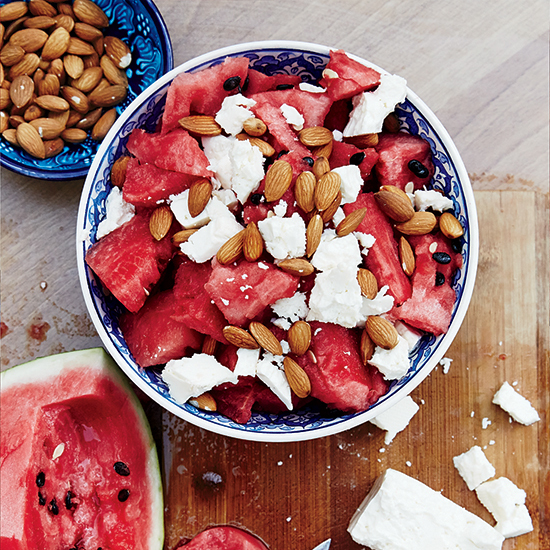 Chef Scott Conant likes serving summer's juiciest, sweetest watermelon just with feta, salt and crunchy toasted almonds. These classic boiled Turkish dumplings are filled with tasty ground beef and served with generous amounts of smoky tomato-butter sauce and garlicky yogurt sauce. 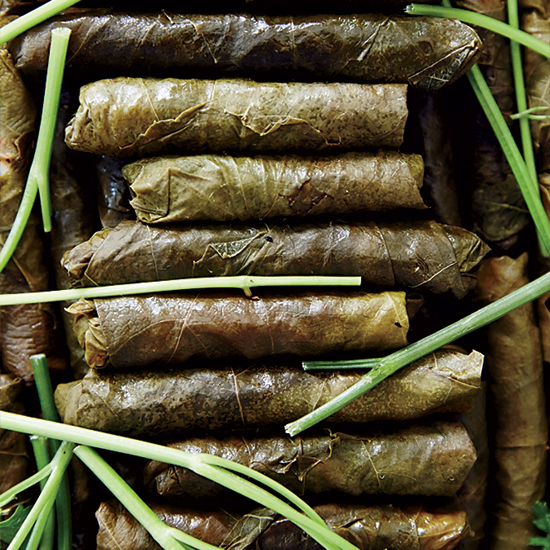 For his supertasty vegetarian stuffed grape leaves, chef Scott Conant makes a simple rice filling with onion, tomato paste, parlsey and a bit of dried mint. 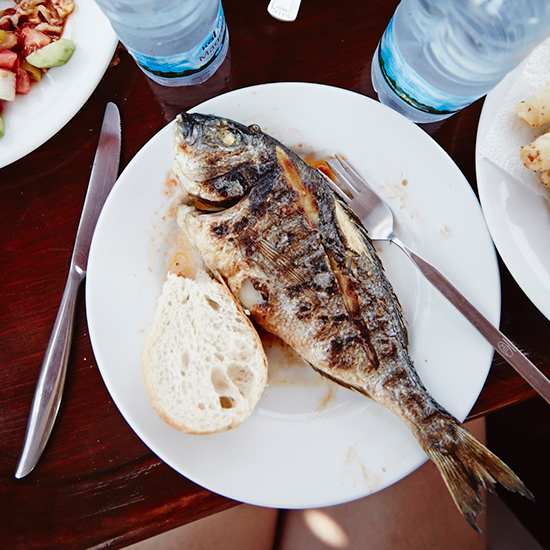 By soaking whole fish in salted water before it's grilled, chef Scott Conant keeps the flesh moist and ensures crispy skin. 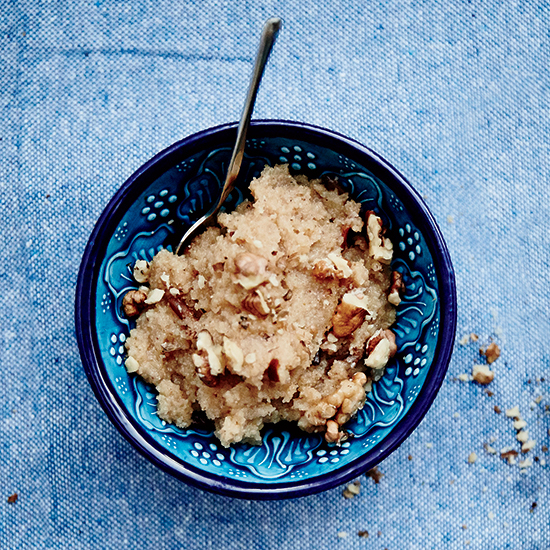 Chef Scott Conant's sweet, warming pudding with walnuts and pine nuts is just as good for breakfast as it is for dessert. 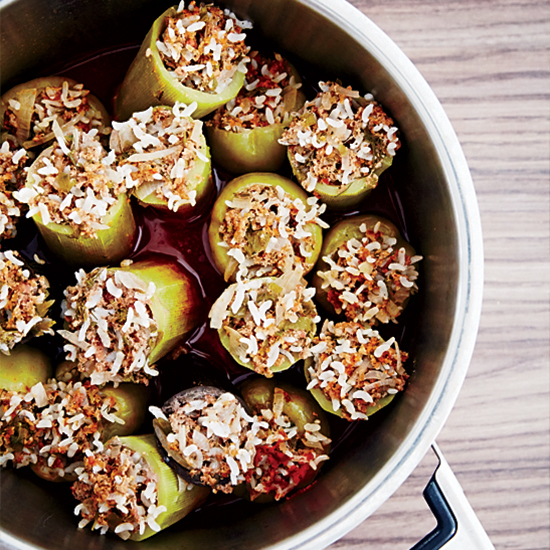 These classic Greek stuffed vegetables from chef Scott Conant are filled with ground beef and rice seasoned with onion, tomato, parsley and thyme.